From jet fuel needed to take flight to the overuse of water at traditional hotels, traveling can take a serious toll on the environment. However, environmentally-conscious travel doesn’t mean you have to skimp on the luxuries. 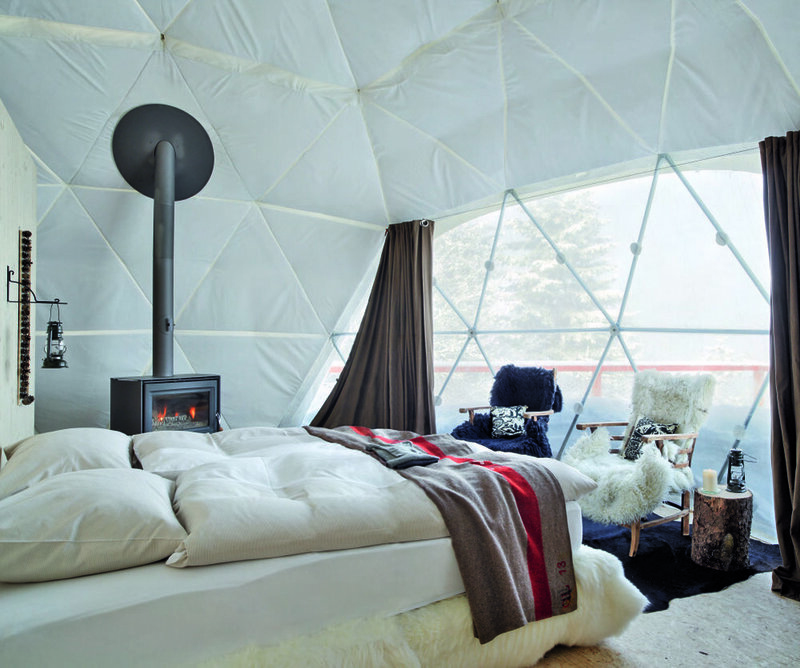 Here is Wear We Went's roundup of our favorite eco-friendly properties that make sustainability stylish. WHAT MAKES IT SUSTAINABLE: The pods are designed using the least amount of material possible, and the lack of corners of the dome structure minimizes the amount of energy needed to heat the space. WHAT MAKES IT SUSTAINABLE: Built to exist harmoniously within its environment, the structure utilizes solar power for electricity and heating, and collects rainwater - whatever is left unused is put back into the environment to give life to the nearby plants. WHAT MAKES IT SUSTAINABLE: The very first LEED Platinum certified hotel in the US embeds sustainable practices throughout the property, from furniture made from salvaged wood to technology that optimizes energy use in the restaurant kitchen. WHAT MAKES IT SUSTAINABLE: China’s first carbon neutral hotel not only utilizes recycled material in its operations, but also makes use of a recycled building - the structure was once a factory warehouse. WHAT MAKES IT SUSTAINABLE: Conservation is at the core of this property - it was built to protect over 1,000 acres of rainforest, and invites guests to participate in reforestation by planting trees native to the area. Siem Reap is a majestic city in northwest Cambodia that offers rich culture, UNESCO World Heritage sites to see and warm hospitality. When not catching the sunrise over Angkor Wat, the main temple in the city, indulge in Wear We Went's list of the top 5 things to do for a magical weekend in Siem Reap without even having to leave the comforts of your hotel. Since the 19th century, it has been a tradition to treat visitors to Siem Reap with an Apsara dance performance- a taste of classical Khmer culture. No trip to Cambodia would be complete without attending at least one performance and at Park Hyatt Siem Reap, you won't even have to leave your dinner table. The hotel features world-class performances at their restaurant, The Dining Room, from 7 pm daily. What better way to experience Siem Reap than to taste some delicious Khmer cuisine. Opt for the Khmer Set menu at The Dining Room for a range of Khmer cuisine from different parts of the country such as Pouk, the home of the Angkor Silk Farm to Siem Reap, which has a hint of french influence in the dishes. Escape the heat and recharge with a spa treatment at Park Hyatt Siem Reap's Spa. With personalised spa treatments that offer a range of fragrant oils perfect for relaxing, energizing or purifying, you'll leave feeling like a brand new person. We recommend trying the heritage massage, which is inspired by practices passed down from generation to generation in Siem Reap and feature point stimulation on the feet and deep tissues of the body combined with deep pressure manipulation and gentle stretching to bring about true serenity. With an option of English or Khmer high-tea sets, The Living Room at Park Hyatt Siem Reap offers a range of delicious tasty treats in a chic, bar-lounge fitted with furniture custom-made based on Bill Bensley’s design. If you're looking to spend a relaxing afternoon nibbling on some delicious snacks in one of the most glamourous lounges in Siem Reap, here it is. The Park Hyatt Siem Reap hotel is designed with a modern twist on the old world charm that is found around the ancient city. The two pools located inside the hotel are no exception. The lap pool on the ground floor of the hotel is filled with cool water for an invigorating and refreshing dip after a long day in the heat while the free-form pool on the first floor has an infinity edge and several romantic nooks for relaxing. Traveling to Singapore for your next vacation and looking to temporarily escape the hustle and bustle of city life? Look no further. 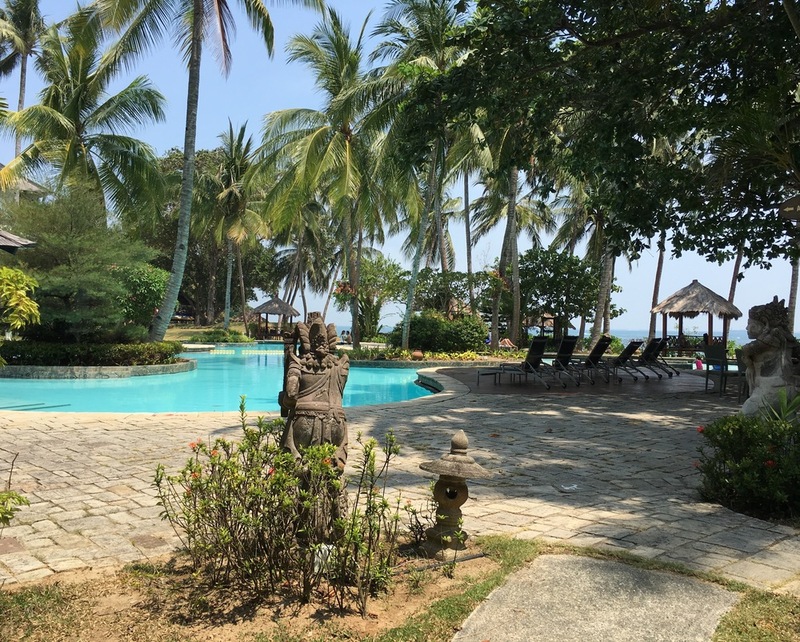 Bintan, Indonesia is a tropical oasis, just one hour from Singapore by boat, that will bring your mind and body to a state of total relaxation. With as little as 24 hours to spare, Wear We Went shares their idea of a perfect day on Bintan Island while staying at Bintan Lagoon Resort. 1:00 PM - Take a quick one hour ferry from Singapore directly to Bintan Lagoon Resort while enjoying spectacular views of the South China Sea. 4:00 PM - Get wet and wild in the South China Sea after speeding off on a jet ski from the resort’s private beach. 6:00 PM - Change into something casual and head over to Chop Chop restaurant for some delicious Chinese cuisine in a hip, fun and vibrant setting. Styled as Bintan’s Chinatown, the restaurant highlights popular North Asian street food culture in a decor evoking the charm and nuances of Chinatown around the world. 8:00 PM - After feasting on a scrumptious meal, go for a relaxing evening stroll on the beach where you can admire a firework display as you stare up at the stars. 9:00 PM - Make your way over to Silk Night Club and dance the rest of the evening away to remixes of your favourite pop songs. 9:00 AM - Rise and shine. Head down to Fiesta! Restaurant for a delicious buffet spread featuring Western, Indonesian, Japanese and Korean cuisine. Sip on a freshly brewed cup of coffee while overlooking the South China Sea. 10:00 AM - Grab your own personal golf kart and spend the rest of your morning enjoying the resort’s two world-renowned 18-hole golf courses. The Jack Nicklaus Sea View Golf course and the Ian Baker-Finch Woodlands Golf course both offer spectacular signature holes, fast greens and stunning views. Alternatively, test out your golf skills at the driving range and enjoy the resort’s scenery. 12:00 PM - After an active morning, unwind by the beach at Nelayan Restaurant where you can enjoy some savoury Indonesian cuisine and refreshing cocktails under the sun. 3:00 PM - Reminisce on your short yet picture-perfect getaway to Bintan Lagoon Resort as you ride the ferry back to Singapore. We like to think that lifestyle imitates art, and these establishments inspired by chic interior design and contemporary artwork are no exception. Wear We Went’s love affair with Damien Hirst was initially sparked by his dramatic piece of work in the Faena Miami, and only grows stronger with each property fortunate enough to be graced by his touch. While no stranger to controversy, Hirst continues to create, venturing away from displaying works traditionally shown in museum exhibits to seeking more non-traditional venues for his pieces. At the Faena Miami, visually stunning extravagance greets you everywhere you walk. The no-expenses-spared lavish red and gold decor is positively posh - we would expect nothing less from film director Baz Lurhmann and his costume designer wife Catherine Martin, who conceived the design of the hotel. As the interior of Faena Miami is reminiscent of his over-the-top films, Hirst's 25-karat gold woolly mammoth skeleton fits right in. The sculpture is striking - with yellow gold glittering in the warm Miami sun flanked by swaying palm trees it fits in perfectly with the upscale crowd that passes by. This luxe boutique hotel can be considered a work of art in and of itself, but it also features some of the top names in the art world. New York City’s Gramercy Park Hotel features eight of Hirst’s pieces. These works cover a wide range of subject matter and mediums, ranging from Oral Cancer, Light MIcrograph, made using silkscreen on canvas, to Blue for No Reason, crafted using butterflies and household gloss. With pieces by Andy Warhol and Jean-Michel Basquiat, Hirst is definitely in good company. Contemporary meets old world charm in this sophisticated yet modern London seafood restaurant. Guests dine surrounded by glimmering water features and a glossy black crocodile scaling the walls. Two bronze mermaids crafted by Hirst flank each end of the bar, seemingly right at home among the aquatic details including the coral reef ceiling mural and Frank Gehry’s Fish Lamps. The effect evokes an underwater dining experience without the need to submerge yourself. Regardless of whether or not you are a fan of Hirst, his unique works are sure to catch your eye, and certainly add character to whatever hospitality hotspot they reside in. Wear We Went rounds up the top five hotels in London that mix the best of historic and modern London culture. Take a deeper look inside some of the most stunning establishments the royal city has to offer. The Wellesley is a 1920’s townhouse that was restored with a modern take on the Art Deco style. Originally built as the home of iconic jazz and cabaret venue, Pizza on the Park, it reopened as an intimate luxury hotel in 2012. It mixes modern luxury with traditional glamour in one of London’s most notable locations. Each room has a contemporary touch with artwork that represents the building’s Art Deco past. All of the spacious suites offer a city view or Hyde Park view with a lounge and work station. The ultimate luxury lies in The Penthouse, on the sixth and seventh floors of the hotel. This option includes four bedrooms, a private terrace offering rooftop views, a spacious lounge that can fit up to 8 guests for a seated dinner, and a state-of-the-art private bar. Additional features of this extraordinary hotel include a Jazz Lounge with live music, Cigar Terrace and private dining area. Looking to treat yourself to a classy and refined stay in London? The Wellesley is our go to. The Corinthia is located right in the heart of London, just steps from Trafalgar Square, Westminster and Covent Garden. Built in 1885, this grand Victorian building features fine stylish rooms and suites with state-of-the-art modern luxury. Rooms and suites include either a city view or balcony view looking over the beautiful courtyard. The Corinthia offers several package options that are guaranteed to enhance your stay and overall trip. Need to relax and unwind? ESPA Life includes four floors of spa treatment rooms, a fitness center, café and more. This 5-star hotel was even named the “Ultratravel Collection Hotel of the Year” at the 2016 ULTRA Awards in May. Browns first opened in 1837 in Mayfair and is just moments away from the Bond Street boutiques, The Royal Academy of Arts and several independent art galleries. All rooms were designed by Olga Polizzi and feature interactive entertainment, bathrooms in Bush hammered limestone, Bisazza mosaic and Carrara marble. 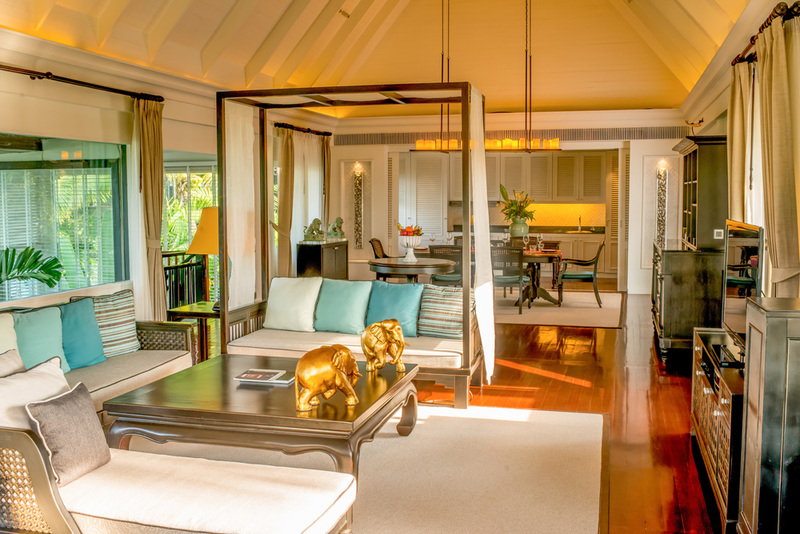 There are several suite options, but if you are looking for a historic experience, the new Kipling Suite is named after Rudyard Kipling who stayed at Brown’s and wrote the Jungle Book here. It includes a large elegant sitting room and floor to ceiling windows. Browns has an elegant spa and sophisticated restaurants and bars to make any day or night special. Whether you are traveling as a family, a couple or on your own, this hotel has something for everyone. Claridges is located in the heart of Mayfair and started as a single house that was transformed into an Art Deco luxury hotel that stays true to its incredible historic background. It opened in the 19th century and since has been a favorite among royal guests and some of the most famous figures of every generation. Designer Diane Von Furstenberg worked with Claridges on designing 20 rooms and suites and designer David Linley completed his work on the 25 contemporary suites in 2012. The hotel interior features bold designs of the 1920’s and 1930’s. All rooms and suites are beautifully furnished, with luxury marble bathrooms. The hotel has a long list of restaurants and bars, including Fera, the Michelin-starred modern and innovative restaurant, by renowned chef Simon Rogan. The London EDITION Hotel is a five-star boutique design hotel located in London’s Soho neighborhood. Some of the London’s best fashion, art and dining are just moments away. Rooms are sophisticated with a yacht cabin-like feel complete with oak floors and walnut wood panels. Lofts and suites include a spacious living area and select rooms including the Penthouse Suite, offer a wrap-around terrace with 360 views of London. The hotel is home to Berner’s Tavern, one of the most popular restaurants in London, under the direction of Michelin-starred Executive Chef Jason Atherton. The hotel’s bar, The Punch Room, is inspired by nineteenth century London’s private clubs, with one-of-a-kind crafted cocktails and live music. Want to spend a night more opulent than your wildest dreams? The World's Most Expensive Dinner is currently is being offered by Russian-based WORLD OF DIAMONDS in collaboration with CÉ LA VI Singapore, located inside Marina Bay Sands, priced at $2,000,000 for two diners. Wondering what comes with this opulent evening? We have the inside scoop. What you wear tells the world who you are. From the looks we see created by our favorite designers every season, you can tell that these fashion houses are design savvy and chic to boot. Who better than these high-end retailers to design suites fitting of the lifestyle they create with their clothes. Here’s a look at some of our favorite suites around the globe designed by the world’s most fashionable. The Grand Piano Suite in London’s Claridge’s Hotel by Diane Von Furstenberg is known for its glamour. Claridge’s style blends effortlessly with the elegance of the legendary fashion designer. When entering the suite, you’ll be pleasantly greeted with visions of marble and gold hues. Perfect for entertaining, the large living area features a marble fireplace and breathtaking grand piano, the suite’s focal piece. The black leather-topped private bar in the suite is fully stocked with a selection of drinks and treats. If you are in the mood for some indulgence, you can also take advantage of the personal butler service on hand to cater to your every need. The Vivienne Tam Designer Suite at Hotel Icon in Kowloon, Hong Kong perfectly exudes her signature brand of “China Chic”, especially when you take a gander at the the “Opera Girl” portrait made of Swarovski crystals hanging in the foyer. Some of the suite’s highlights include high ceilings that are inspired by traditional Chinese screens and decor inspired from Shanghai’s Art Deco era. Along with the crystal portrait, the suite includes other extraordinary pieces of furniture like the ultra-stylish “Ploum” sofa by Bouroullec Brothers, a porcelain plaque personally selected from the designer’s New York apartment and a Japanese-cherry wood table. The Designer Suite offers stunning panoramic views of Victoria Harbour and a suite experience unlike any other. The Dior Suite in New York unites the legacy of the original St. Regis hotel with the French elegance of Dior. Distinctive design details and signature soothing, muted hues are pulled straight from the Dior ateliers in Paris. This sumptuous suite houses a spacious living room with a decorative fireplace and windows overlooking Central Park. An eight-person dining room perfect for entertaining with complementary kitchen and glamorous statement pieces throughout add to the one-of-a-kind ambiance. The Bottega Veneta Suite at the St. Regis Rome, designed by creative director Thomas Maier, is the coming together of luxurious fabrics, handsome furniture pieces and accents that carry the brand's iconic intrecciato woven technique. The colors are classic Bottega Veneta, all within the neutral family—taupes, caramels, chocolate and cafe au lait. The suite features views over the river once crossed by the Medicis and great Italian masters via the Ponte Vecchio. The centuries-old building, which sits right along the banks of the historic Arno, was the palace of Filippo Brunelleschi, architect of the Duomo Santa Maria del Fiore, before it was converted to a hotel in the 1800s. Wear We Went rounds up the top restaurants to wine and dine in the food-loving city of Singapore. if you're ever visiting the little red dot, consider these authentic and delicious western dining experiences. What happens when you put a Michelin-starred chef, an award-winning mixologist and Catalan based executive chef together? You get incredible hand-crafted cocktails and divine cuisine by FOC restaurant. Inspired by a small village in Barcelona, FOC creates a twist on classic spanish tapas. From the carefully crafted in-house cocktails such as their glorious gin and tonic, to fresh bread made daily. The restaurant is certainly worth a visit when looking for international cuisine in Singapore. Luxe Sydney in Singapore focuses on quality product and premium service. Luxe is the quintessential Sydney all-day dining venue, brought to Singapore. The restaurant offers contemporary Australian cuisine and is known for its decadent brunch offerings. The venue has subtle, local influences with a western feel making it a fine establishment for dining on the weekends. If the quirky name doesn’t capture your attention, the food and drinks at Coq & Balls will. Since 2007, the open air bar has provided patrons in Singapore with classic cocktails and mouth-watering food. From their juicy burgers to their spicy bloody marys, Coq & Balls is the perfect place for happy hour or even late night bites in the lion city. Using fresh, seasonal ingredients, Bread Street Kitchen delivers globally-inspired menus to the high standard you’d expect from a Gordon Ramsay restaurant. The menus are regularly updated throughout the year to reflect the latest seasonal produce. From bottomless London brunches to irresistible breakfasts, Bread Street Kitchen offers delicious food to satisfy your tastebuds. It’s a destination restaurant that takes its striking design cues from old and new worlds and has a distinct English vibe. BATAM: A tropical village nestled among vast greenery and ocean in the riau islands, just a 30 minute ferry away from Singapore. A small island in Indonesia, Batam is a beautiful, scenic place only a boat ride away from Singapore. However, there is no shortage of things to do in Batam. Known for its beaches, nightlife and upscale resorts, the picturesque island has plenty of water sports for the adventurous type. Batam is also a notable destination for state-of-the-art spas, Balinese massages, and a range of local shopping outlets. While great bargains can be struck here for goods, this is also the place for trying cheap, local food like kueh lapis (Indonesian layer cake) and Indomie (instant noodles). As a waterfront destination, Batam offers a large array of land and water sports such as banana boating, windsurfing, or jet-skiing. For a more relaxing activity, visitors can play golf on Batam’s internationally acclaimed golf courses. With beautiful greenway and the scenic coast, everything Batam has to offer makes for an idyllic, adventurous trip. Can’t get enough of Armani? Luckily for you, Giorgio Armani Beauty’s very first spa in the US opened at Bergdorf Goodman’s New York location. The full service spa offers luxurious European facials featuring products from Crema Nera, Armani’s own high-end line of reviving creams. The new spa is the perfect place to stop and pamper yourself after a tiring day of shopping, or after a long day of travel. An added bonus? Spa rituals are free with any purchase of $350 or more. To celebrate Spring Wear We Went has launched an eShop with bold-printed, travel inspired clothier, JUMA. From playful socks perfect for pairing with boots or strappy heels to an airplane ready teddy bear to cashmere ponchos and even bags for the fellas, our JUMA collection selects are inspired by our latest travels. In Singapore,Mollie worked with photographer Yafiq Yusman to showcase the Owl Cashmere Poncho and printed clutch. Ian is featuring a custom navy camo JUMA suit at Hotel 48Lex in New York City. The JUMA brand is heavily influenced by local culture thus fitting perfectly with the Wear We Went brand. We are very proud of this partnership with JUMA as it feels very natural. The collection is available at JUMA's retail locations in Dalian, Tianjin, as well as Four Seasons Beijing along with 100 multi-brand shops worldwide. The 115 coral islands of Seychelles are a melting pot of traditions and customs brought from Africa, Europe and Asia. Located Northeast of Madagascar, this island chain is famous for its beaches, coral reefs, diving, nature reserves and rare wildlife. Within this living museum of natural history and sanctuary lies the immaculate Constance Lémuria Seychelles Resort. Consider this hotel a cocoon of luxury amidst the vibrant atmosphere of these breath-taking islands. The setting of Lémuria is nothing short of magnificent. The islands of Seychelles are known for their exquisite natural materials used for architectural design. Each suite and villa within Constance Lémuria Resort is no exception. The elegant rooms feature pristine pink granite, marble, wood, stone, and thatch palm to create a modern, yet warm and cultured feeling. Exquisite beaches, clear topaz water and lush vegetation are also at an arm’s length from each spacious room. The resort features a three level pool and multiple beaches with staff waiting to bring you chilled bottles of water and fresh fruit. When you’re not unwinding in the resort’s heavenly swimming pools seemingly crafted by nature, indulge in a trip to the resort’s U Spa to restore well-being. Each massage is customized uniquely to the requirements of your body and muscles and training sessions are held outdoors to take advantage of the refreshing sea air. No vacation in the Indian Ocean is complete without exploring the world beneath the crystal clear water. From manta rays to mighty whale sharks; turtles to dolphins, your encounter with the Indian Ocean’s marine life will be memorable. Under the guidance of the resort’s dive professionals and excellent visibility of the water; guests can take a variety diving or snorkelling trips and witness the majestic inhabitants of the vast reef-formations. Compared to other resorts nestled within the islands, Constance Lémuria Seychelles Resort is in close proximity to all of the most popular spots within the chain of islands. To ensure that guests have access to all Seychelles has to offer, the resort provides a private boat that sails to secluded beaches, other lively towns or intimate tours showing off the colorful scenery among the islands. La Digue, located close to the resort, is an island inhabited by many ethnic groups, with world-renowned cuisine. It is most notable for it's popular palm wine, which most Seychellois people like to make themselves through fermenting the inside of a coconut. Whether you're in the mood for a relaxing, cultural, or adventurous getaway,Constance Lemuria Seychelles has it all. Put this resort on your Must-Stay list. Pattaya : A wild Thai city with a reputation for it's nightlife provides visitors with an unexpected cultural experience. Take a look at our Wear We Went journey. If you’re looking for a unique city merging ancient Thai tradition with crazy adventures, Pattaya, Thailand is the perfect destination for you. While it used to be known as a quiet fishing village, Pattaya is now known for its explosive nightlife which attracts international travelers, expats, and weekenders from Bangkok alike. Walking Street is the heart of Pattaya's nightlife. Located in South Pattaya, the 500 meter pedestrian street with a large array of nightclubs, bars, restaurants, and street performances. For a historic vision of Thailand, the place to be is the Sanctuary of Truth (Prasat Sut Ja-Tum) - a one of a kind structure speaking to ancient Thai tradition expressing the importance of religion and art in Thai culture. Another must-see in Pattaya is Wat Phra Khao Yai (Big Buddha Hill). The biggest Buddha in the region, it overlooks Pattaya and Jomtien beaches and is surrounded by a serene and peaceful atmosphere. Want to see more of Buddha? The largest stone engraving in the world can be found in Pattaya, found at Khao Chi Chan (Buddha Mountain). This popular attraction is also in the vicinity of other iconic Pattaya landmarks. Pattaya is one of the most interesting places in the world, full of culture, history, and an exotic nightlife. For a less travelled Thai experience that most tourists will overlook, Pattaya is a city worth visiting. Wear We Went takes a look at our Top 5 List of the most luxurious spas out there that provide treatments so divine you'll fly across the world for them. Located in the royal city of Hua Hin in Thailand, Chiva-Som is a beautiful destination spa, known for its extravagant Thai massages and daily classes focused on improving personal wellness. Found on the Gulf of Thailand, Chiva-Som Spa is located beachside, bursting with indigenous plants, flowers and scenic gardens. Not only does Chiva-Som have an exhaustive list of spa treatments, it is also known for its world-class low-calorie cuisine, adding to their holistic approach to health. In addition to over 150 spa treatments, visitors can experience classes such as Tai Chi and Pilates to improve overall fitness. With 70 treatment rooms and resort facilities such as the watsu pool, sauna and Jacuzzi, this spa is the epitome of luxury, comfort, and personal cleansing. Chiva-Som, meaning “Haven of Life,” is the perfect destination for a luxury health resort filled with beauty and serenity. Minutes from the Indonesian island’s artistic capital of Ubud, Bali at Sayan is the ultimate getaway destination with hundreds of relaxing amenities. Complete with complimentary yoga and meditation classes, dance classes, local performances, and luxurious pools, the Four Seasons Resort: Bali at Sayan is the perfect location for a comprehensive well-being program where visitors can achieve their personal and spiritual goals. Bali at Sayan's Sacred River Spa treats guests to a serene, nurturing environment while revitalizing through spiritual practices and rituals. Their spa amenities range from treatments with Balinese Healers to massages and body envelopments. Bali at Sayan provides a relaxing getaway for revitalizing the body, and gives guests a true Balinese experience that they’ll never forget. Looking for a unique, relaxing, and luxurious experience like no other? Look no further than the Royal Mansour. Located in the heart of Marrakech, Morocco, the hotel and spa was commissioned by King Mohammed VI. Featuring one of the most beautiful hammams (turkish bath) and spas in Marrakech, every guest can be pampered and rejuvinated with one of the Spa’s premier treatments. With a wide range of spa services, extremely personalized service, and privacy as the utmost importance, this unique place offers an experience like no other. A quaint 19th century manor turned hotel in the vine-covered rolling hills of the Douro Valley in Portugal is the prime location for your next spa experience. Next to the Douro River, the Six Senses Douro Valley Hotel has luxurious signature spa treatments, produced from the organic garden and the best local wine. Guests are in for a true treat at the Six Senses Spa Douro Valley with multiple pools, professional classes, and ten treatment rooms overlooking the properties charming gardens. From deep tissue massages to grape rejuvenation body treatments, Six Senses Douro Valley works to combine some of the best holistic treatments with healing benefits from the surrounding area to provide guests with a comprehensive wellness program and an overall healthier lifestyle. No matter the desire, the Six Senses Douro Valley captures the charming and tranquil atmosphere of the region, allowing for guests to unwind and experience Portugal’s unique culture. Porcelain Face Spa is an award winning Singapore based spa and skincare facility located in the central shopping district of Singapore. Porcelain Face Spa boasts a range of treatments as well as their own beautifully simple products, which are all paraben- free, non- comedogenic, and fragrance-free. Asian beauty products and regimens are often raved about in Western countries, but it can be difficult to figure out what might work best for your skin. Porcelain products are lightweight, yet effective, and keep your skin hydrated and healthy. Porcelain’s latest facial, the Illuminate facial, employs the use of oxy-diamante microdermabrasion and a vinotherapy skin peel which is a gentler, natural alternative to common acid peels. What could be more luxurious than a facial that uses wine and diamonds to bring out your best skin? Wear We Went has long been a fan of the InterContinental Hotel Group - and for good reason. Each hotel is consistently impeccable yet still manages to be distinctly different. We’ve rounded up the best Intercontinental Hotel experiences in Southeast Asia - the ultimate luxury accomodation these hotels have to offer. Named Asia’s Leading Beach Resort 2015 and World’s Leading Wedding Resort 2015, InterContinental Samui Baan Taling Ngam Resort is certainly not lacking in accolades. Each room at the resort has its own private balcony with a stunning view of the Gulf of Thailand. Traditional Thai architectural elements are evident throughout the establishment, adding an air of spiritual beauty. The most decadent option the resort provides is by far the Club InterContinental Three-Bedroom Napa Reserve Residence. This two story villa features a private pool and sundeck, not to mention a personal butler and private chef at your disposal. The resort provides guests with a traditional sarong (for her) or fisherman trousers (for him), and with Tropical Survival Kits that include insect repellant and pore cleanser. When not relaxing in your private residence, enjoy the one of the resort’s seven swimming pools, including the Instagram-worthy infinity pool. After a refreshing swim, guests can treat their body at the Holistic Baan Thai Spa for a day full of indulgence. To top off your next luxe vacation, the hotel is nearby the charming fishing villages of Koh Samui where guests can go island hopping, diving, snorkelling, dolphin-watching or explore the city's buzzing nightlife. InterContinental Danang is a gorgeous property overlooking a private bay. Located on a hillside, wherever you are in the establishment, you’re guaranteed to find a beautiful scenic view. Guests experiencing the Sun Peninsula Residence Villa wake up in their luscious four-poster bed to awe-inspiring views of the surrounding Monkey Mountains. Those who wish to go for a relaxing swim have plenty of options to choose from, including a private beach and two pools. With a personal butler, chauffeur and chef, Danang Sun Peninsula Resort covers everything you could ever need and more. Those who wish to experience the sights that Danang has to offer can take advantage of the personal tour guide from the resort. After a long day of sightseeing, guests can look forward to complimentary massages and evening cocktails in the comfort of their villa. When it comes to dining, the luxurious hotel offers authentic Vietnamese cuisine fit for royalty. While seated in the restaurant’s imperial Nguyen thrones refashioned as dining chairs, guests can enjoy stunning views in the restaurant, Citron. Diners seeking seating a little less grandiose but no less impressive can choose to sit in private booths that extend out over the cliffside offering a breathtaking view of the bay. Travelers certainly have their pick of gorgeous resorts in Thailand, but few establishments can say they have consistently been on ‘Best of’ lists in the hospitality industry since opening. It’s no wonder IC Hua Hin Resort has attracted distinguished guests, from real life royalty to prominent dignitaries. The accommodations at InterContinental Hua Hin are literally fit for royalty - La Residence Villa was modeled after King Rama VI's 19th-century Royal Summer Palace. The villa itself is two floors of luxe living, with a marble foyer and Bvlgari bathroom amenities for the design-minded. The private residence also includes two dining rooms, one of which can be conveniently converted into a conference room. The property boasts a half acre of land that includes a large enclosed lush garden area and an infinity pool. Not only do guests live like royalty, but they are also treated like it too. All meals are covered with this comprehensive package. IC Hua Hin takes care of everything, from 24 hour personal butler service to babysitting services for those traveling with children. The complimentary bottle of champagne doesn’t hurt either. When looking for the ultimate opulence and private hospitality experiences in Southeast Asia- InterContinental does it best. Seoul, South Korea is known for its high-end designer shopping and beautiful scenery. The frenetic city is an energetic metropolis filled with cutting-edge architecture. When searching for the perfect place to stay, consider the Park Hyatt Seoul, a 5-star luxury boutique hotel located in the heart of the Gangnam financial district. The hotel is the very essence of luxury. With the bumbling city outside and limitless bliss inside, Park Hyatt Seoul makes for a fulfilling location for your next vacation in Asia. Featuring the largest guest rooms in the city of Seoul, the Park Hyatt has equipped their rooms with dreamy amenities like floor-to-ceiling windows, that provide an affluence of natural light, and spacious spa-inspired bathrooms. Guests can unwind at Park Hyatt Seoul’s exclusive fitness studio, swimming pool and their luxurious spa. For those in search of some relaxation, the spa and wellness centre includes three treatment rooms, a sauna, steam bath, jacuzzi and plunge pools along with offering heavenly facials and body treatments. Park Hyatt Seoul’s most insta-grammable feature is their granite-stone infinity pool, located on the 24th floor of the hotel, which offers spectacular Gangnam views. The heated pool’s vanishing edges creates an illusion of the water falling straight down into the centre of the city. For those who want to explore the city, the five-star hotel is close to many attractions in Seoul including the magnificent areas of Jongno - one of the oldest downtown districts and Dongdaemun - one of the two traditional markets of Seoul. Whether you want to enjoy the many amenities inside the hotel or visit some of the must-see tourist attractions around the city, Park Hyatt Seoul is the ultimate location for urban sophistication. Imagine taking a relaxing retreat to a piercing blue lake carved out by breathless, snowcapped mountain peaks. New Zealand’s ultimate alpine escape, Blanket Bay is known as one of the world's best luxury lodges. The 5-star accommodation offers luxurious suites, a spa, swim and steam for pampering, and invigorating activities all in this small, enchanting corner of New Zealand. Designed as a location for a rejuvenating retreat, this small area has everything in the makes for a fabulous getaway. Nestled between Queenstown and Glenorchy, Blanket Bay is unlike other vacation locations with bumbling towns and nightlife. This area provides an intimate getaway to celebrate the art of pure relaxation. Most travelers come in search of solitude and to discover endless ways to restore physical and spiritual well-being. Blanket Bay’s immaculate stone lodge is surrounded by Lake Wakatipu, rugged snowcapped peaks of the Southern Alps and what seems like endless green pastures featuring the area’s wildlife. The panoramic views on Blanket Bay’s sprawling outdoor terrace showcase a massive fireplace perfect for watching the sunset or gazing at the stars. The resort offers a range of cozy suites which include stone fireplaces, steam showers, bathtubs and king-sized beds. Blanket Bay’s coveted Chalet staterooms provide the amenities of suites but include two private courtyards with incredible views and two stone fireplaces instead of one. With a renowned spa and fitness center, Blanket Bay offers its visitors holistic and natural healing therapies to awaken and restore the natural forces of the body, mind and spirit. Their most exclusive treatment features New Zealand’s Active Manuka Honey, which is exclusive to this region. The spa also offers healing facials, hair and scalp aromatherapy, soothing foot care, massages and other luxurious services. A luscious steam room, jacuzzi and heated outdoor pool complete Blanket Bay’s comprehensive wellness facilities. At Blanket Bay, visitors have a rare opportunity to combine sheer relaxation with a variety of adventure. The resort offers a private helicopter tour to see ancient glaciers and one of the world’s highest waterfalls in Fiordland. A wide range of trekking opportunities are in close proximity, whether it be a stroll on Blanket Bay’s lakefront or a four-day hike in the Mount Aspiring and Fiordland national parks. Don’t worry - charming, knowledgeable guides are available to accompany you for the day to show the most beautiful, remote spots. For those a bit more daring, bungee jumping, mountain biking, funyaks and rafting is offered to experience New Zealand’s scenery in beautiful ways. Whether you’re in search of a tranquil retreat or adventure, Blanket Bay provides visitors the opportunity to have the trip of a lifetime. The Majestic Elegance Punta Cana Resort is the perfect location to spend your next tropical holiday. Located in Arena Gorda, the sprawling property of this five star destination overlooks an expansive beach of crystal clear blue waters and white sand. The resort provides luxurious accommodations, but is also close to the heart of Dominican culture, allowing you to explore all the beauty that the Dominican Republic has to offer. Wear We Went loved basking in the hot Punta Cana sunshine for a week - Here’s what we discovered. For the adventurous and lovers of nature, the resort is near multiple parks where you can walk around and enjoy the flora of Punta Cana. The small surrounding islands are also available to explore via day-cruises and snorkeling tours. One can also experience the flavor of Dominican culture in the cities of Altos de Chavon and Santo Domingo - just a short drive away. For those in search of something new - the hotel provides guided tours of the local area via Dune Buggy. If getting splashed with layers of mud, racing through the streets and jumping in caves full of fresh water sounds up your alley, we highly recommend trying out the resort’s excursions. The Majestic Elegance Punta Cana is a trendy destination that has much to offer. The resort’s expansive lagoon style pool and beach lounge areas feature cabanas, swim-up pool bars and shaded areas where you can relax and enjoy the sea breeze. Guests can also enjoy a variety of six bars and seven different elegant restaurants all located on the resort. If you’re looking for a true Dominican cocktail experience, we recommend trying the classic Mama Juana. Similar to port wine in taste, the tree bark and herb fermented alcohol is extremely popular in the Dominican Republic, rumored to act as both an aphrodisiac and health booster. When not sprawling out on a beach towel, the Spa at Majestic Elegance Punta Cana is an oasis within the already enchanting resort. The spa features a number of high-quality spa services including hydrotherapy facials, reflexology massages, body wraps and more. The spa has a number of different temperature baths to soak in for one to release all toxins, truly indulge and relax in a peaceful setting. With a picturesque view of the ocean, beautiful decor, and breezy tropical vibes, Majestic Elegance Punta Cana is the perfect place for a traveler in search of luxurious rooms and new places to explore. From crowded subways to cluttered newsfeeds, a normal day in today’s world is much less simple than it used to be. What better way to get away from it all than to escape to a retreat that allows you to appreciate the simple luxuries in life? Wear We Went gives you the rundown on must-stay minimalist luxury hotels that offer maximum relaxation with minimum hassle. Luxury doesn’t always mean lavish. Hualuxe Hotels is a new luxury chain with plans to expand in the future, and offers calming simplicity in its decor that provides respite from the chaos of city life. It’s hard to reconnect with nature when you’re in the middle of a city filled with thousands of people, but Hualuxe does just that in cities such as Yangjiang, China - and more. The hotel utilizes elements of nature in its design, with everything from wood paneling to stone flooring and natural greenery. Its immaculate design will make you wish you never had to leave the peaceful hotel. With crisp clean lines and sleek furnishings, this hotel is simplicity at its finest. H’Otello Berlin keeps it straightforward by offering the necessities without sacrificing luxury. The hotel keeps its amenities simple, with a bar, gym and spa so you can focus on exploring the rich culture that Berlin has to offer. The hotel also offers an intimate library, letting you relish the simple comforts of life. When you’re surrounded by natural beauty, you don’t need much to complete your vacation - who needs decadent ballrooms when you’ve got a breathtaking view of Table Mountain and Camps Bay beach? Not only are the views from Pod Hotel easy on the eyes, but the hotel also ensures that its daily operations are easy on the environment. From solar panels used to help heat the water to the use of environmentally friendly chemicals in housekeeping, Pod Hotel reduces both its carbon footprint and your stress. Old school rustic charm on the outside, new world glamour on the inside. Contemporary meets history in this modern hotel set in Rome, with stylish architecture that provides a refreshing contrast to the ancient surroundings. Rome has always been known for its exceptional architectural details, and this hotel is no exception. Hotel Indigo will charm you with its classy simplicity. The refined but dramatic artwork displayed in the rooms makes for a powerful first impression. Sweden occupies a place of reverence in the design world, especially when it comes to architectural and furniture design. At Elite Eden, you can quite literally appreciate beautiful design from the comfort of your bed. Simple doesn’t have to be boring - in fact, this hotel brings a quirky new twist to minimalist design. You’re sure to be greeted with unexpected pops of color and fun prints wherever you go. And while the furnishings may be simple, the service is most certainly not. You can rest easy knowing you’re being taken care of by the hotel’s accommodating staff.